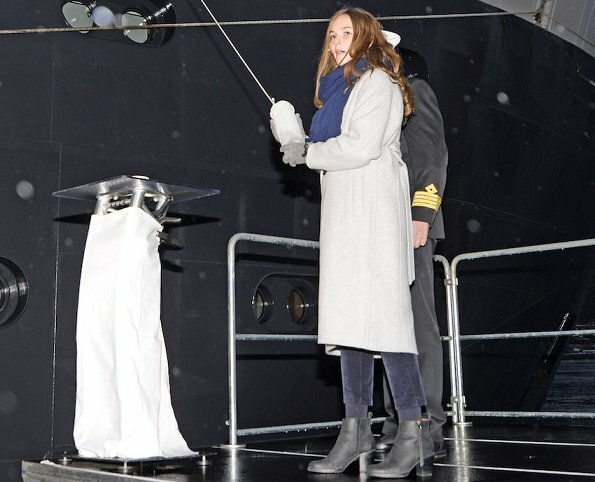 On November 17, 2018, Princess Ingrid Alexandra of Norway christened Norway's new research vessel, the icebreaker "Kronprins Haakon" at Tromsø Harbour. 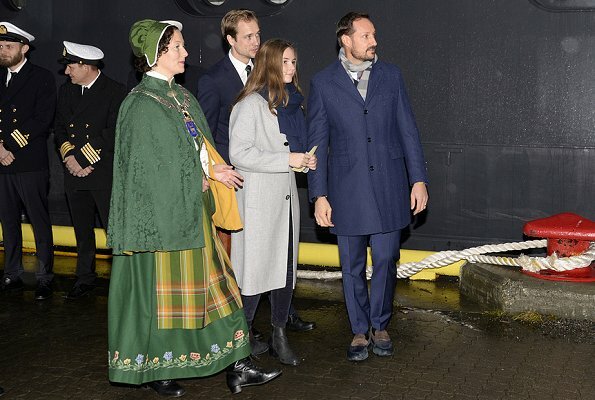 Crown Prince Haakon of Norway attended the christening. 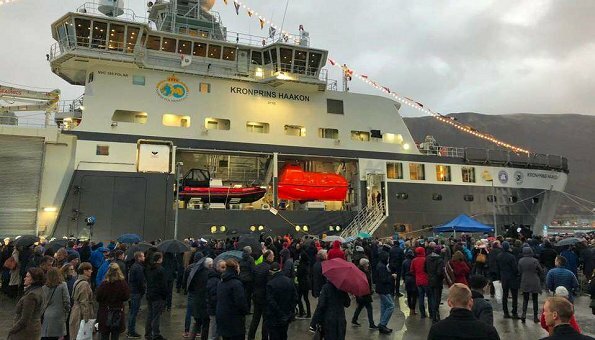 RV Kronprins Haakon is an icebreaking vessel which will be used for polar research. Norwegian Polar Institute is the owner of the vessel and the vessel will be operated by Norwegian Institute of Marine Research. The vessel's main user is University of Tromso. 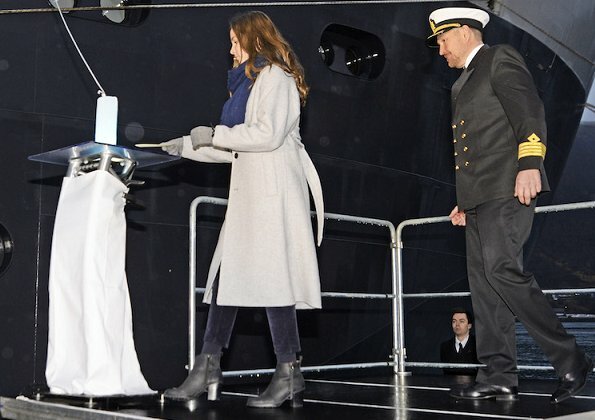 The new icebreaker research vessel, Kronprins Haakon is equipped with state-of-the-art scientific instrumentation. 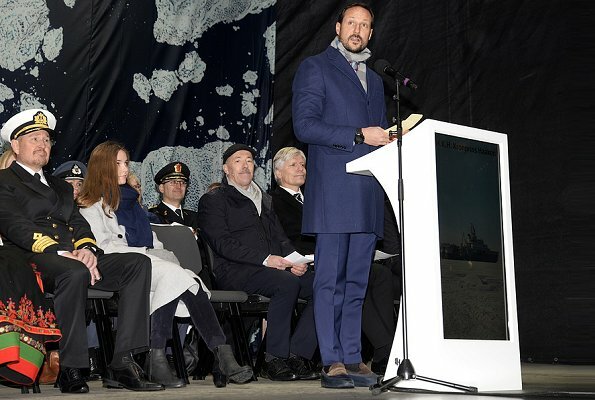 After the ceremony, Crown Prince Haakon and Princess Ingrid Alexandra visited Polaria Arctic Aquarium in Tromsø. 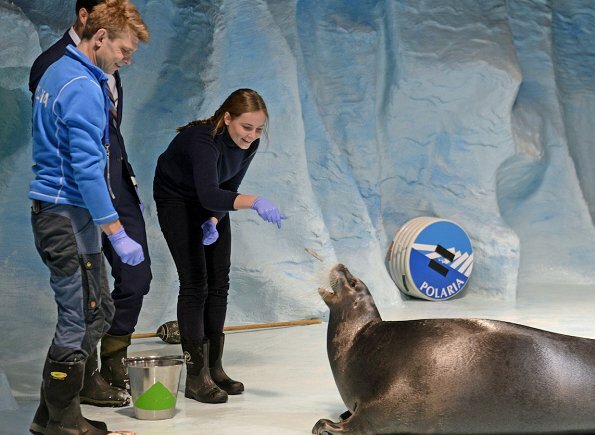 This arctic aquarium which opened in 1998, focuses on educating visitors about the exotic, freezing waters of the Nordic North. 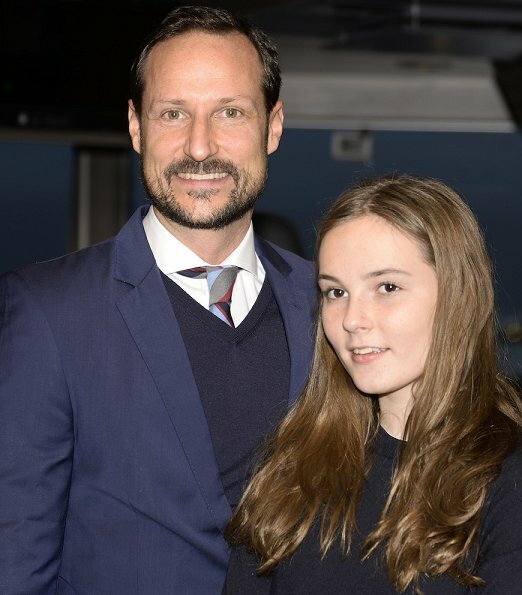 Lovely Ingrid Alexandra with her dad. 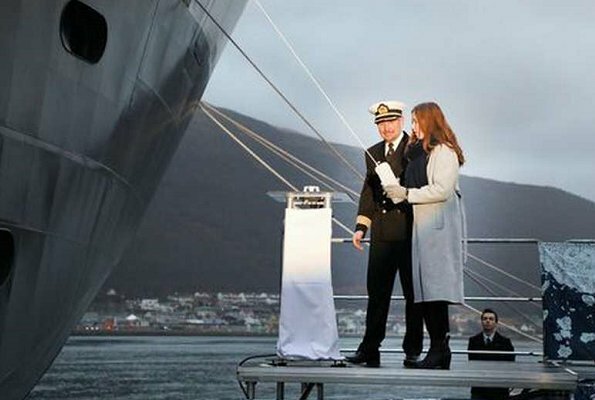 I just love norwegian royals, especially queen Sonja and king Harald. Me too . I think they are a lovely royal family . Ingrid and her dad are very awesome . 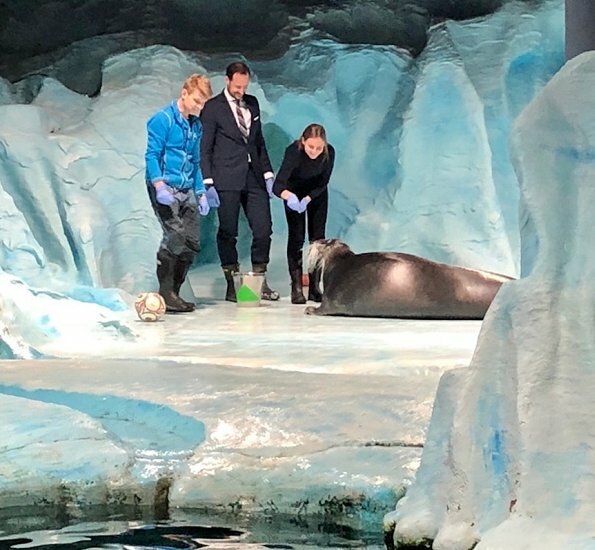 It is so good to see her helping out with the ceremonial duties and giving her mother a rest. And - Aha! - there is her father in his blue suit and good old brown shoes. It would be a treat to see a gray suit and black shoes, just for a change. I don't even know if those are his "good old brown shoes" - I see that there is something black at the tips of those shoes? Almost as if he had galoshes on top? But then changed into wellies? Ingrid is lovely and she seems comfortable in her young royal role. They all look warm and kind. Ingrid so much resembles her mother but with the coloring of her father. Nice girl. Just see her in profile - photos 6 and 10, and half-face, photo 9, spitting image of her mother, except for the eye and hair colors, that's her father's. >>>spitting image of her mother<<< @gabriella, honestly, I don't see what you see. Princess Ingrid resembles Queen Sonja a lot, just an opinion. I don't see any 'spitting image' at all either. I agree with Beth that Ingrid has features of both parents. She's a lovely girl. Lovely young lady, very bundled up like a true blue Norwegian. Pss Ingrid Alexandra is a very lovely girl,she has grown up a lot. She comes across as being very self confident. She is the younger version of her mother. Ingrid is a Lovely joung lady. I guess she learns a lot from mentor Queen Sonja . 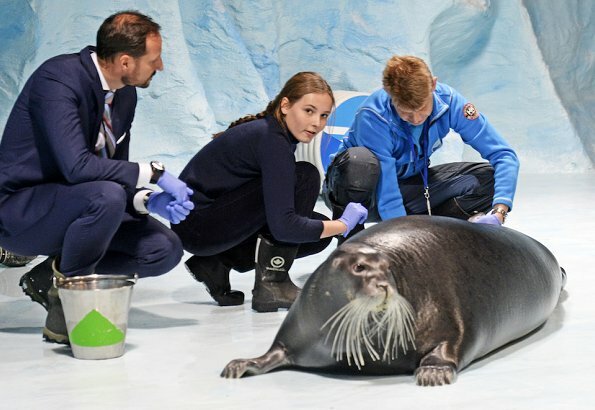 Da wächst eine hübsche zukünftige Königin von Norwegen heran !! Beautiful princess, nice to see her wirh her dad in these events. 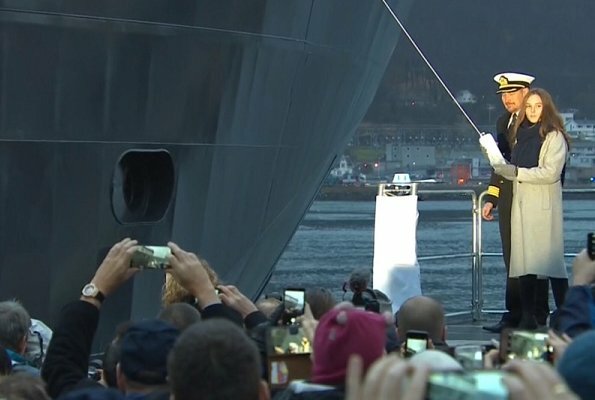 What a shame that the bottle cracked open before it hit the ship. Somebody goofed. But Ingrid Alexandra is a beautiful young lady, wow. Ingrid Alexandra is a very lovely and beautiful young pricess.